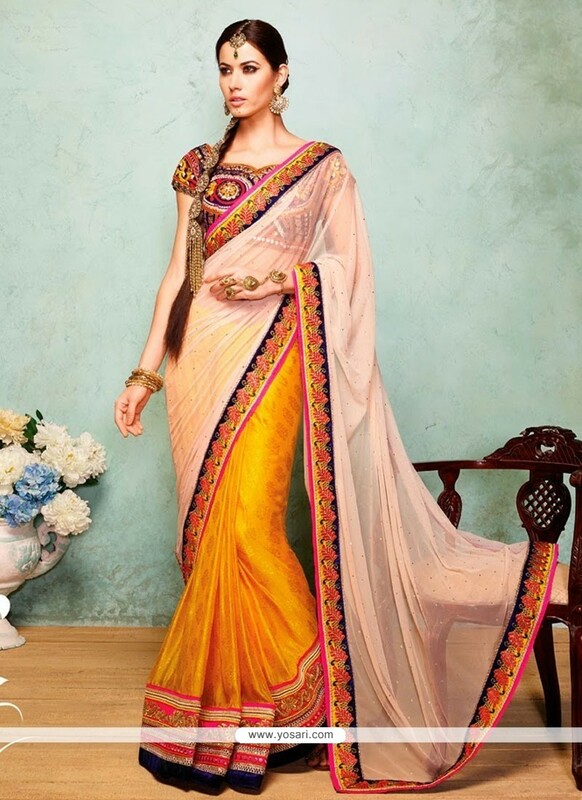 Radiant Cream And Yellow Net And Viscose Half N Half Saree. Radiant cream and yellow color net and viscose half n half saree created with embroidered work, crystals work, resham work, zari work and patch border work. Include with matching unstitched blouse. Its a pretty Net, Viscose saree for wear on Festival and Ceremonial. Net, Viscose Fabric and Yellow, Cream color Resham and Zari used to make this stylish Saree.